Is there such a thing as “The Step?” And if so, what the heck is it? Is “The Step” just a myth? Or is there really something to it? The subject of aerodynamics is a slippery one, with any one effect having many plausible-sounding explanations. 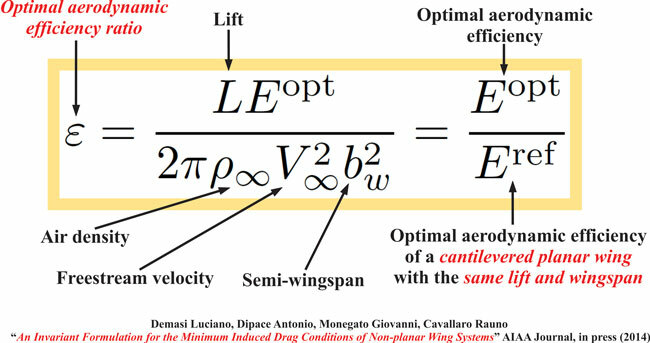 One of the most vexing aerodynamic theories is the one that claims that certain airplanes can achieve faster cruise speeds when they get into a certain pitch attitude. It might be useful to compare this with a floatplane, which plows along in the water until it achieves a more nose-down angle of attack and then transitions to a more efficient contact with the water’s surface in which it planes instead of plows. A theory associated with The Step is that it is achieved by climbing slightly above your cruise altitude and then descending back down to the target altitude. This theory holds that certain airplanes can achieve a faster cruise speed by using this technique than by leveling off directly at the cruise altitude. Proponents of this theory don’t generally offer an aerodynamic explanation for it. The Trim Argument: Some proponents of The Step theory say The Step is achieved by keeping the airplane trimmed slightly nose up or nose down, creating a more efficient aerodynamic attitude. The idea is that the airplane, like a floatplane’s floats, is more efficient at a certain angle of attack than at any other. That optimum angle of attack=The Step. The CG Argument: The idea is that one can trim to a certain CG. By trimming nose up, you can emulate an aft CG. It’s easy to see how appealing this one is. Aerodynamically, an aft CG is a bad thing only in that it makes the airplane less stable in pitch. But it does make an airplane faster, usually only slightly so, but still. The Mystery Argument: This is the hardest theory to disprove because it doesn’t offer any evidence other than personal experience, insisting that you’ve got to see it to believe it. Many of these believers in The Step claim it is achieved by the technique previously mentioned of descending back down to the target altitude after topping the climb a couple of hundred feet higher than that (ATC takes a dim view of this practice, it should be mentioned). These folks say that their planes get to a higher cruise speed than can otherwise be achieved by leveling off at the intended altitude without the intentional overshoot. When examined closely, none of these arguments hold water. The Trim Theory doesn’t work because for a given power setting level is level. If you’re trimmed nose down and want to stay level, you need to manually fight against the trim tab by applying back-pressure. This will make the plane go slightly slower, not faster, as you’re adding drag with the out-of-trim condition. The CG argument doesn’t work, either, because you can’t trim to a CG condition; you can only load for it or reload (perhaps by asking your passengers to climb into the baggage compartment). You certainly can’t do it with the trim tab. Finally, some might find the Mystery Argument to be the most convincing because it doesn’t even try. But the truth is, an airplane in level flight is going to achieve a certain best airspeed at a given altitude regardless of how it got there. If it dives to an altitude, it’ll hit that airspeed a lot faster because you let gravity do the acceleration work for you. There continues to be no free lunch, however, as it will cost you more time and energy to make that additional climb than you’ll ever gain back in cruise speed. Verdict: The Step is a myth.